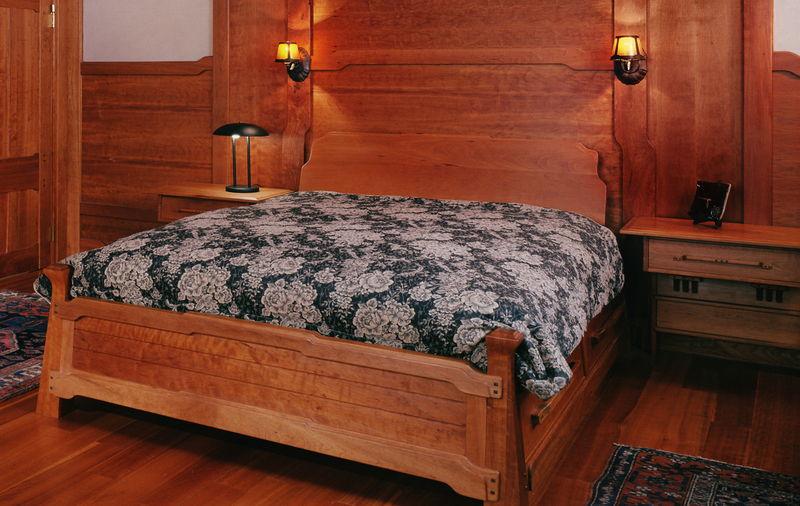 Building on the stylistic tradition of the American Arts & Crafts movement, this bed is part of an entire room, crafted in North American Black Cherry. Matching wall paneling is shaped to receive the backrest headboard. Meticulous detailing, and captivating forms make this bed one of the focal points in this warm, inviting room. Side drawers further increase its user-friendly function, while eliminating the need for dusting below.